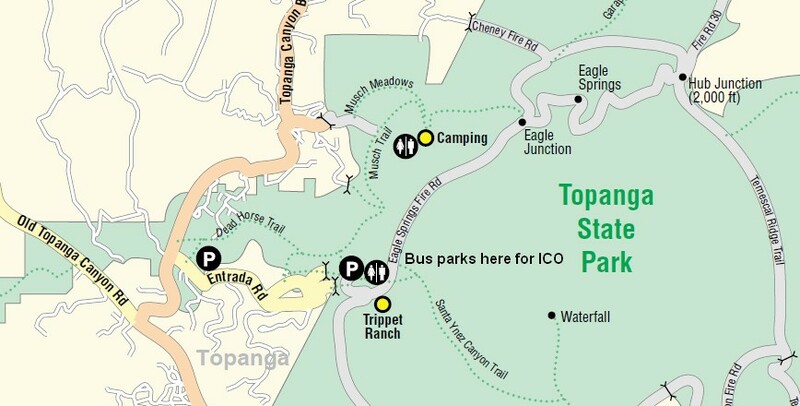 Make a reservation at Topanga State Park when you order a bus. Topanga State Park will accept bus reservations on weekends. They will only allow ONE FREE BUS PER DAY. ALL extra vehicles and/or buses will have to pay their normal day use fees ($10 per vehicle and $100 per bus). Approved reservations via fax are REQUIRED. Bring your approved school group request form with you on the day of the trip. Topanga requests that the bus take up as few spaces as possible, or, even better, drop off passengers, park off-site, then return to pick up passengers. The park reserves the right to deny our requests for a bus reservation due to a special event, holiday, or any day they forecast to be busier than normal. from Pacific Coast Highway, turn inland on Sunset Blvd. 20825 Entrada Rd., Topanga, CA 90290. 33.5 miles to Entrada from 101. Directions to the park – drive south from Ventura Fwy (101) or north from Pacific Coast Highway on Topanga Canyon Blvd. to Entrada Road on east side of road. Turn east on Entrada Road and make two left turns to stay on Entrada Road to the park entrance. Be careful with GPS navigators, which may want you to exit Topanga Canyon Blvd. on some road other than Entrada Road–only the Entrada Road exit will go to the right place. If the participating agency is located outside the city of Los Angeles, go to Useful Forms (or CLICK HERE for the PDF form [PDF: 22KB]) to find the form needed to reserve a bus parking space. Bus reservations for agencies located outside the city of Los Angeles must be made two weeks in advance. 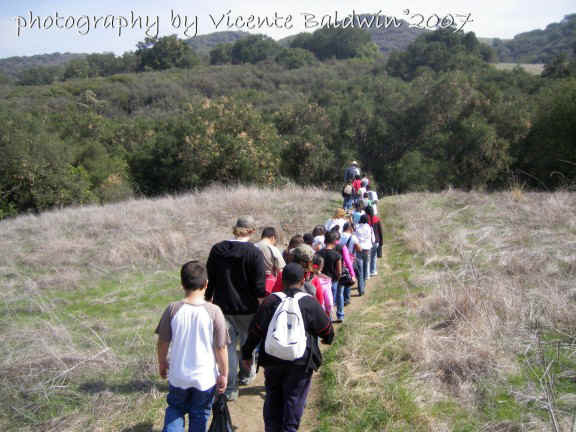 If the participating agency is located in the city of Los Angeles, call the park rangers at (310) 455-2465, ext. 106 to notify them that a bus from Mountain Recreation and Conservation Authority (MRCA) will be coming. MRCA buses do not need to pay a parking fee and do not need to submit the reservation form.